So today is going to be one part health + one part fall. Welcome to Monday, ps... I hope it treats you well. Anyway- yesterday, I was cleaning our produce (lettuce for taco salad, in case you're wondering) and had a total breakthrough. 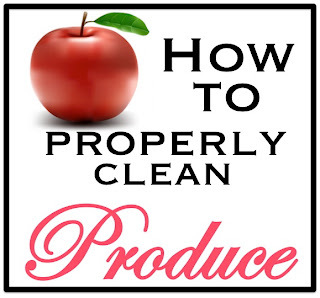 I have been cleaning our produce for years because JSYK- it's filthy. Unless you're buying organic, produce is coated in some nasty pesticides. I read that apples are among the worst with as many as 60 different pesticides residing on any old apple from the store! Whoa, dang. That's a lot of chemicals. Washing with water doesn't help, either, because the pesticides are stronger. They're made to stay on despite repeated rains, otherwise farmers would have to constantly respray after each storm which is costly both in time and finances. So if you aren't buying organic (which I know can be tough in this economic climate!) 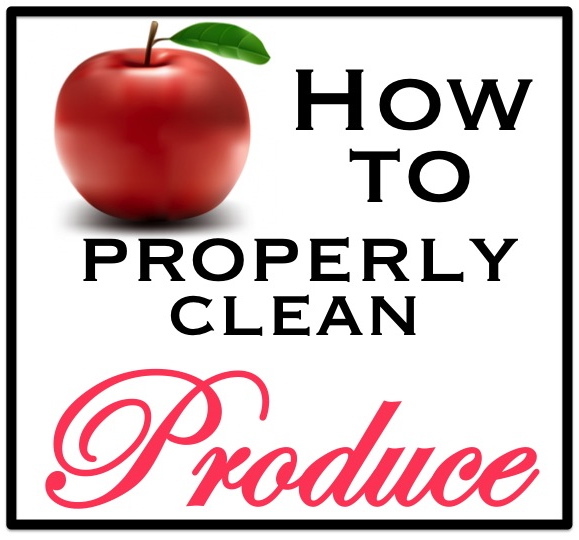 you should really consider proper washing of your produce. All produce. (ps- here is a great list of what to buy organic and what you can skip). Anyway- no mater what your washing method, they generally require filling a sink and putting the produce in it. I just really hate that. I don't like the idea of my produce just floating around in my sink- no matter how clean it is. Does that gross anyone else out? Just me? I especially hate it for lettuce + berries. Ugh. It just bothers me... so here's what I did instead! (**see paragraph below steps for alternate options for larger sized produce, this method is best for things like broccoli, berries, leafy greens + other small veggies***). (1) Prep it. Place a large mixing bowl in your sink (the bigger the better!). Then put a smaller colander directly inside of that. (3) Cover it. Soak with your cleaning solution. You can use a store bought kind or several other home washing like using 3 parts water to 1 part vinegar (this is what I like to do). (4) Soak it. You really need to let it sit for an hour at least. The good news is that if you use the vinegar rinse, your fruit will really last much longer. Vinegar is a life saver for berries and fends off mold. Do you see all of the nastiness floating at the top? Yuck. Be sure to come by and jostle your produce every now and then if it isn't totally submerged. (5) Strain it. Take the colander out of the bowl allowing it to strain the solution from your produce. Run it under some water and call it a day! Pretty easy right? I like it better than just filling your sink. Plus, the amount of time needed to clean fruit leaves half of your sink inoperable for a long time. Using the bowl + colander allows you to remove the set up if necessary if you have to use your sink. Holla! If you have too much produce (like the apples), then just put it all in the large bowl and pour it through the strainer after soaking. If you aren't opposed to using your sink, you can always just place the colander directly in your sink. Also- HERE is a recipe for an awesome Pumpkin Spice Latte- forget paying $5/cup! Make it yourself, yo! That's all for today! Tomorrow starts our Downton Abbey series- so if you love the show (or Titanic or anything else from that time period...) be sure to check in! I have some fashion tips + tricks for bringing a little early 1900's style into your current wardrobe. Have a fantastic day! All the best and as always, thanks for reading! **NPR is the first source I can credit with 3 parts water to 1 part vinegar.